Over the years, Jan has provided care to hundreds of children ranging from those needing care in emergencies, supporting families and children by providing respite care and has cared for children who she has seen grow from toddlers to young adults. Full of knowledge and understanding, we caught up with Jan to talk about her experiences over the years. AnglicareSA: How did your foster care journey begin? Jan: I had just remarried, and with my late husband and I being too old to have any children of our own we looked into foster care. My husband was a high school teacher, we both really loved children and we knew we had a home for children who needed it. My adult children from my previous marriage are also very much involved and they love all the children who come to stay with us. I’ve always been very community-orientated – before fostering I ran a youth group for 8-12 year olds at our local church because there was nothing to do in the area. It really went well – the children loved it because they had the opportunity to do all sorts of things. At the beginning we had a lot of two and three-week placements – mainly respite care, and then it just progressed from there. We ended up going through the Long Term Guardianship process and have a 20-year-old who originally came to us at four weeks of age. What is Long Term Guardianship? Under a Long Term Guardianship arrangement, carers become the child’s legal guardian and have day-to-day parenting responsibilities. This means they can make more decisions around the child’s health, education, holidays, and emotional, social and cultural needs without having to ask the Department of Child Protection. While guardians can make most decisions, birth parents do keep some decision-making responsibilities. My husband passed away 10 years ago and I decided to keep on providing care. 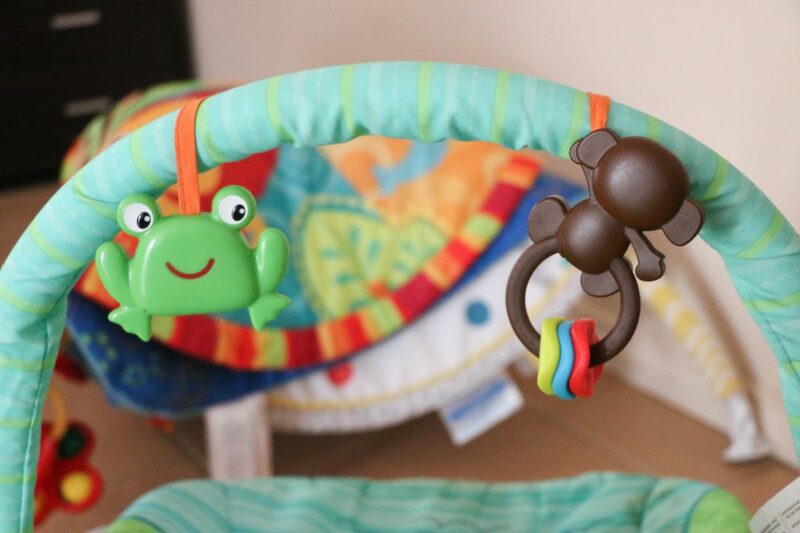 At the moment, I provide emergency, respite and short-term care for babies and toddlers – sometimes even newborns straight out of hospital until they’re ready to be reunified with family. I often care for them anytime between six months and two years – until sensitive family situations are resolved or alternatively they transition to a long-term carer. Over Jan’s 21 years as a foster mum she has cared for hundreds of SA children. AnglicareSA: How important is it for both yourself and the children to keep in contact? Jan: I think it’s very important and it’s good for the children too – they’ve been with you for a significant time of their lives, so it should never be that all of a sudden you’re not there anymore. It’s very rewarding to see the children go on and reunify with their families and lead good lives. By providing care for them, the children gain that extra family. AnglicareSA: How do you go about managing relationships with birth families? Jan: When it comes to short-term care – it’s all about trying to get the children reunified with their families and doing whatever you can to make that happen. One of things that I’m not afraid of, and that actually excites me, is meeting the birth families and forming a bond there. I often meet families at hospital visits, and travel around different parts of Adelaide catching up. I remember one boy – who was reunified with his mum. I used to take him over to his mum’s house and she really appreciated me wanting to build a relationship with their family. There’s something special about having a name and a face attached to who’s caring for your child. I am conscious about not overstepping boundaries or anything – but if they’re happy, then I’m happy. Now, Jan provides emergency, respite and short-term care for babies and toddlers. AnglicareSA: What would you say to potential foster carers? Jan: I would encourage anyone who has the love and care to give, and room in their home to become a carer… once you’ve cared for a child you realise how valuable it is to yourself and the community. Yes – it may be a bit scary at first as you’re not sure what the experience may hold. But I’m happy to say I’ll keep fostering for long as possible – as long as I’m capable. Jan’s wealth of wisdom is such a unique resource for the AnglicareSA foster care team and the wider South Australia foster care community. Jan is involved with supporting AnglicareSA foster carers. She has often met and passed on her knowledge to help newcomers understand how to build relationships with the biological families of their foster children. With her vast experience, Jan also has the ability to pick up on children’s behaviours very early in their lives. 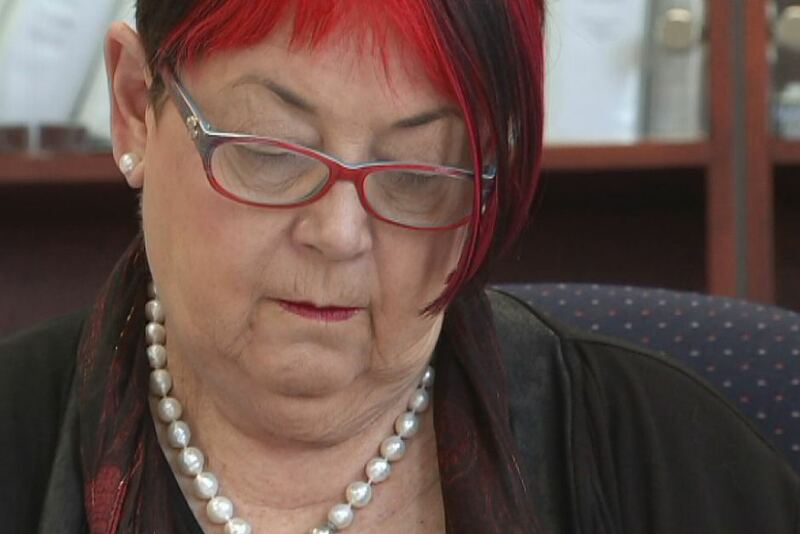 In some cases, the Department of Child Protection has gone on to explore Jan’s observations to discover an apparent disability or behavioural condition. We warmly thank Jan for her pivotal contributions in helping us improve the lives of children in most need of support, love and care. At the end of last year, retired builder 74-year-old Alf was struggling to stand up straight. Two years ago, Alf was feeling light-headed and had a fall on a flight of stairs – severely dislocating his knee, breaking his leg and fracturing his lower back. At the time, Alf was living in affordable housing, and had no support services. His son lived interstate and his friends, although in Adelaide, resided quite a distance away. “After my fall I was in such a state – I felt depressed and was at the end of my tether,” Alf said. Alf had two major operations following the incident, and later found out from his doctor that he had likely suffered a minor stroke. Still on the waiting list for a spinal operation, he was barely coping to do the basic necessities at home. “I couldn’t cook – I stopped because one night I made a casserole and somehow got it in the oven, but on getting it out, my back gave way and the whole thing hit the floor,” he said. 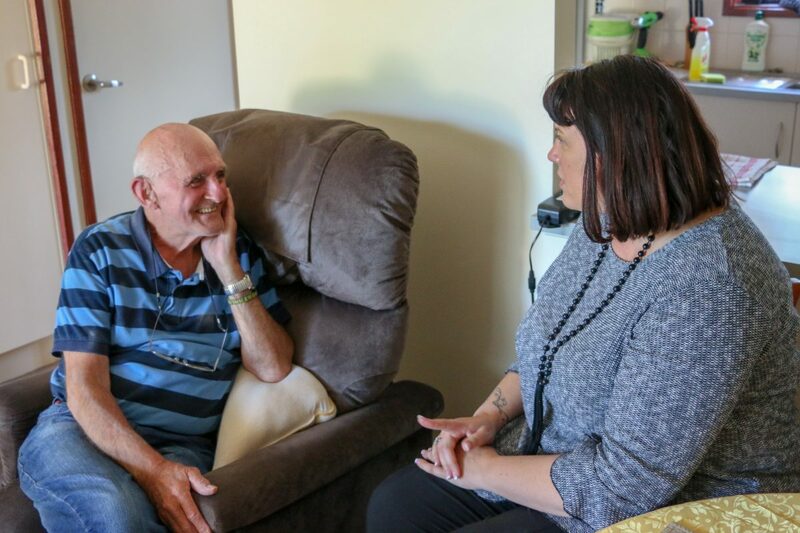 Following a home visit to Alf and realising the struggle he was having, AnglicareSA tenancy officer, Sara Williams referred him to the AnglicareSA Aged Care Customer Advocate, Jo Carter Jones. Jo, as the Aged Care Customer Advocate, works side-by-side with people like Alf, trying to navigate their way through the aged care system. 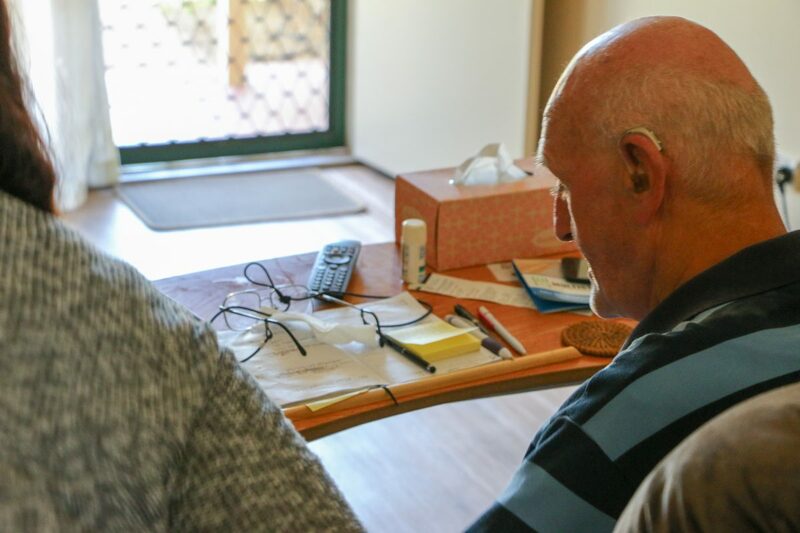 “Within about two weeks, I had someone from aged care visit… and within another couple of weeks I had a Short Term Restorative Care Package with physio and the lot,” Alf said. “After about three weeks I was actually standing up straight… and not only walking straight but quicker… I couldn’t believe it. Through this package, Alf also received equipment such as bed and toilet raisers, bathroom chairs and a new back brace – enabling him to regain his freedom, independence and confidence. 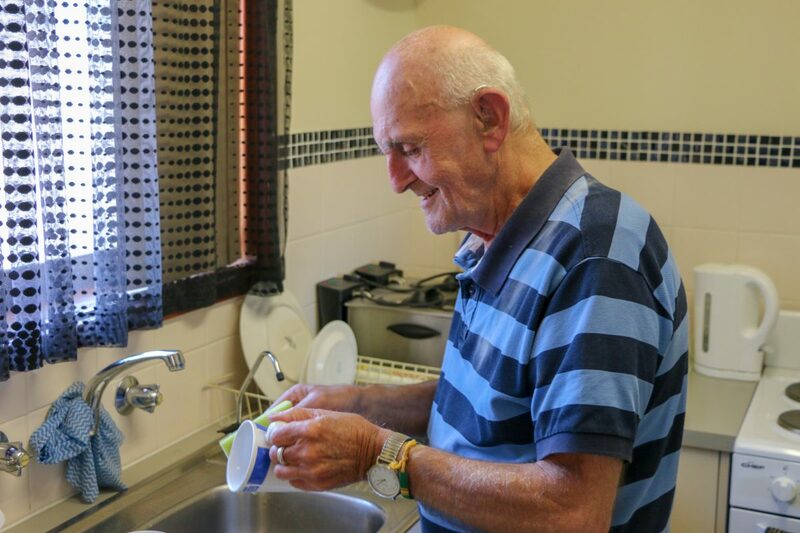 Alf continues to be supported by an AnglicareSA Home Care Package which provides the in-home services he needs. “I’m receiving support and have all these gadgets to help me out — and it’s all because I had the assistance navigating through the system”, he said. 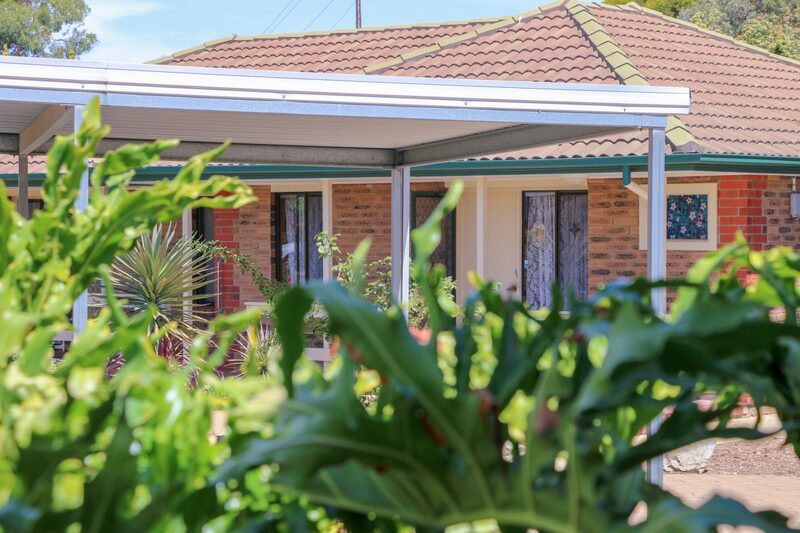 To his delight, Alf has also since transferred to a house in Seaford Rise – an area of Adelaide very close to his heart. “I used to live just up the road, back in the 1970s – we were one of the first families to buy a house down here,” he said. “A few friends and I started the O’Sullivan’s Beach Football Club when my son was just 7 years old – he’s 52 now. Originally from England, at the age of 28, Alf brought his young family to Adelaide after friends had raved about life in South Australia – particularly the weather and the beaches. For many years he worked for one of Australia’s largest construction companies, Baulderstone Hornibrook (now acquired by Lend Lease) with stints around the country. “I worked on just about every single multi-storey building in Adelaide,” he said. “Building is not like these days – in my first 40 years of work it was all manual and heavy labour. 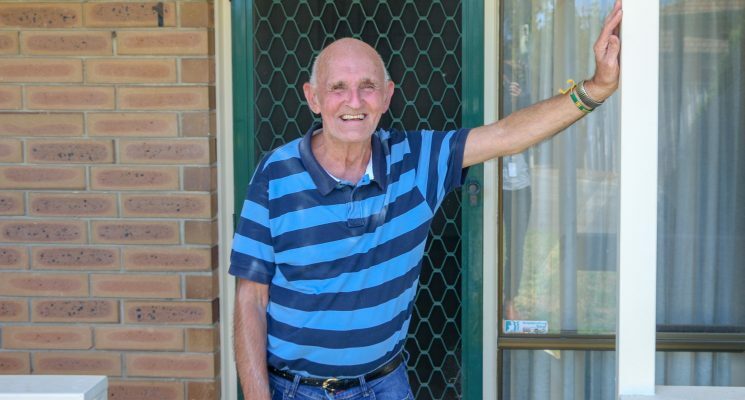 Alf says he’s now in a “great place” – with the support through his Home Care Package and a home in the community that originally made him fall in love with Adelaide. “In just the last week, I’ve had three phone calls from friends saying ‘you’re back down here again, we’ll drop down soon!’,” he said. Imagine arriving in Sudan without a single word of Arabic, Swahili or Dinka… and trying to start a new life. Imagine the stress of making sure your children are safe, happy, comfortable and receiving the best education – and not being able to communicate with the teachers at your local school. Imagine the overwhelming feelings of isolation. These are just some of the things Sudanese from refugee and migrant backgrounds face when they first arrive in Australia. Most Sudanese refugees who settle in Australia come from South Sudan, where less than 30 per cent of children who start grade 1 end up reaching grade 5. With overwhelming dropouts, only two per cent complete primary school. As a result, adult literacy levels are some of the lowest in the world – according to Max Roser and Esteban Ortiz-Ospina only 32 per cent of South Sudanese over the age of 15 are literate (and only 12 per cent of women). This can be a serious challenge for the Sudanese community in Australia, as many families from Sudan are headed by single mums. What does this mean for Young Sudanese Refugees? and come with the trauma of their refugee experience. It’s likely that not only will their mothers and fathers not speak English – but there is little chance their parents will be literate in any language. Andrew’s Farm, a suburb in Adelaide’s north, is home to one of the state’s largest Sudanese communities, with many children attending the local school, St Columba College. Previously, language barriers have meant that the school was unable to contact parents and engage them in their children’s life at school. Parents were left feeling disconnected, with issues happening at both home and school triggering a challenging environment for the students. In identifying these issues, the Anglican Diocese of Adelaide and St Columba College reached out to AnglicareSA to drive change. 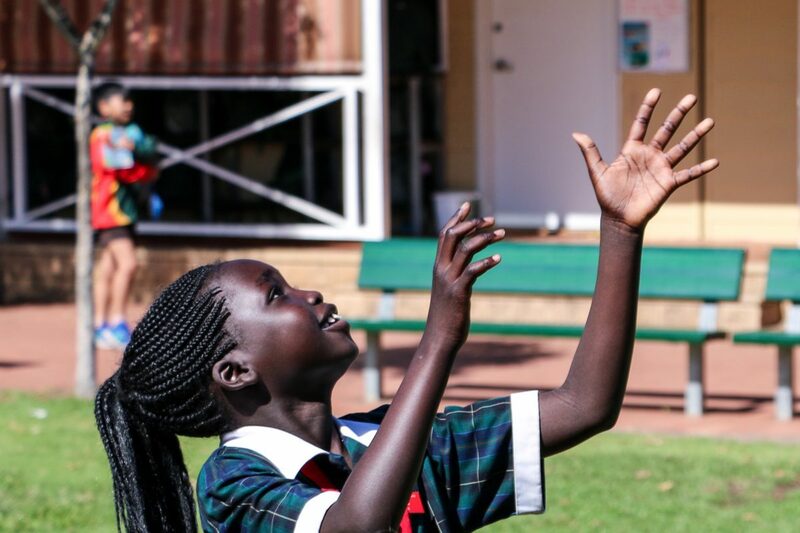 And for the last four years, AnglicareSA’s Anglican Sudanese Engagement Project has supported parents to build confidence and a stronger connection with their children’s life at the college. 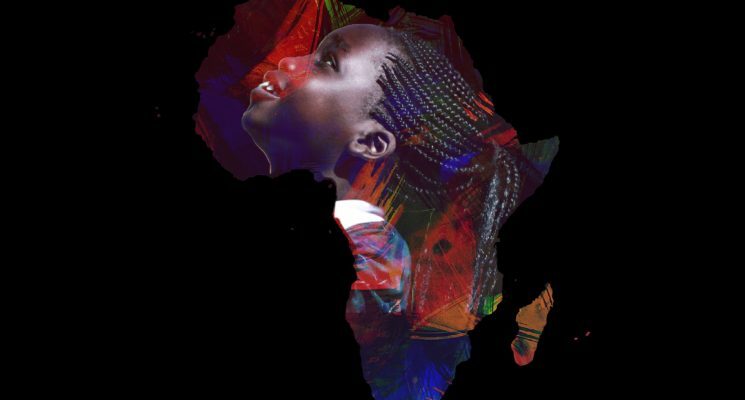 The project, which ran from 2014 to 2018, was joint-funded by the three-way partnership, with Sudanese community leader, David Amol employed to lead the project and develop a school-based service for students and their parents. David is also leader of a local Anglican Sudanese congregation in Elizabeth and is a well-known personality in the Playford area. 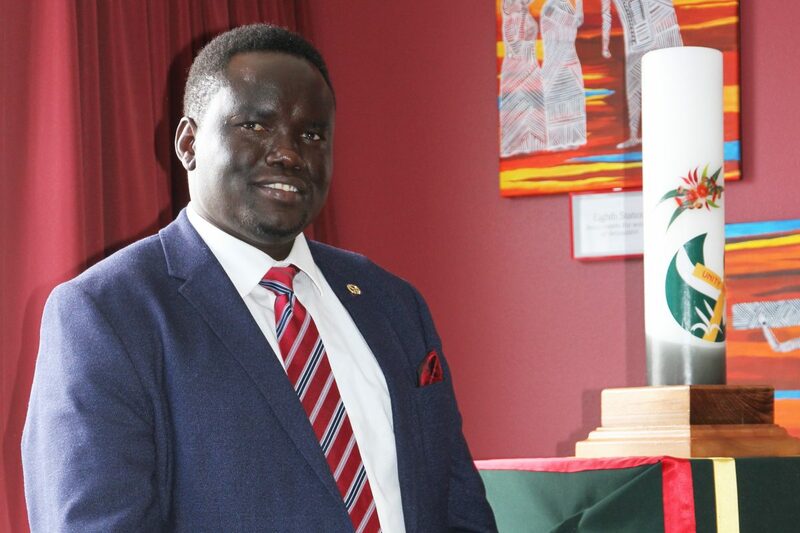 AnglicareSA Principal Multicultural Services, Mary Awata said the Anglican Sudanese Engagement Project has had substantive contact with 165 Sudanese students and a further 44 students from other parts of Africa. 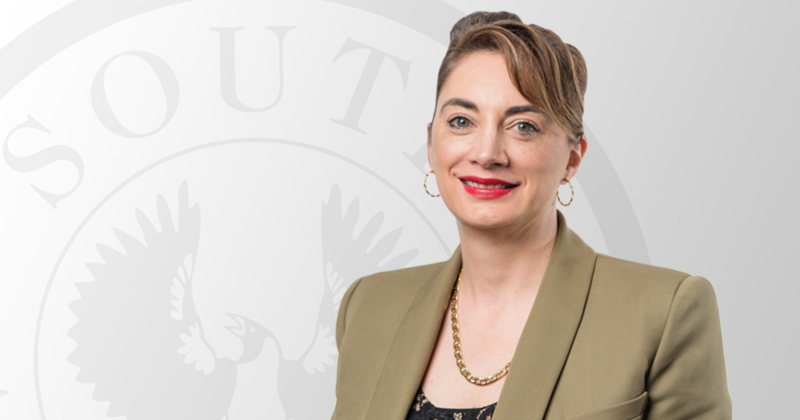 “Due to language barriers and other issues at home, parents are vulnerable to being disconnected from students and their schooling – in many cases families were uncontactable,” she said. 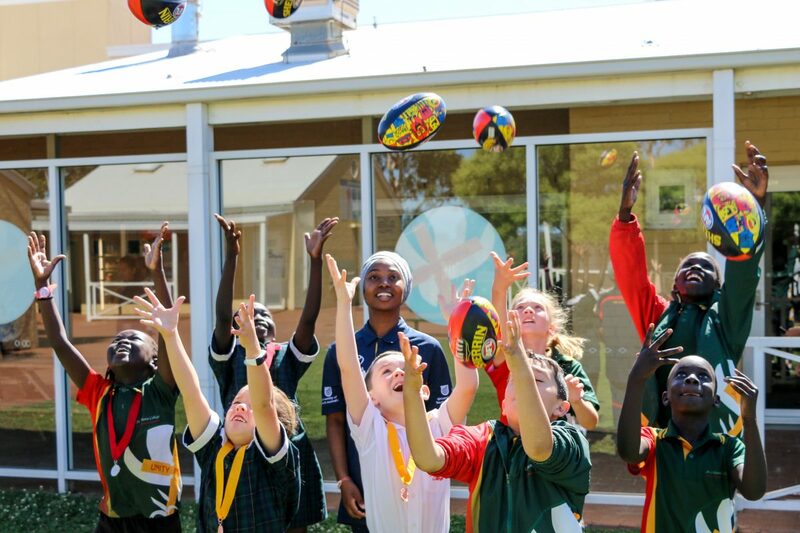 The project has seen St Columba College establish a cultural diversity and inclusion team, which has identified a range of issues including the need to cater more specifically for Sudanese girls and women. Parents have become involved in school strategies and volunteering, and have been provided spaces for group meetings at the school. 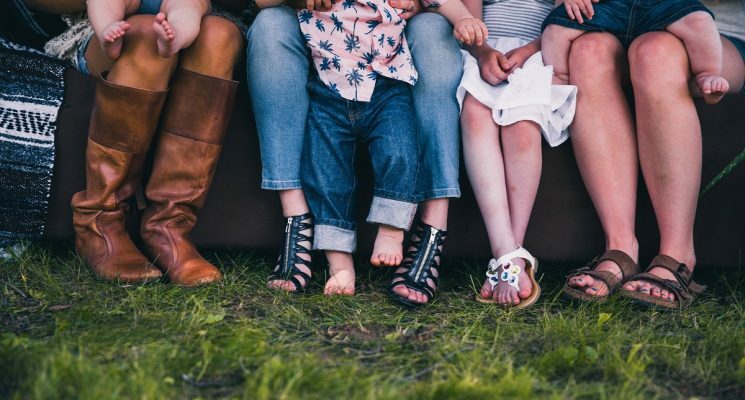 AnglicareSA has also recently established the Family Connect program to continue its work with St Columba College, with a particular focus on supporting mothers from a refugee background. 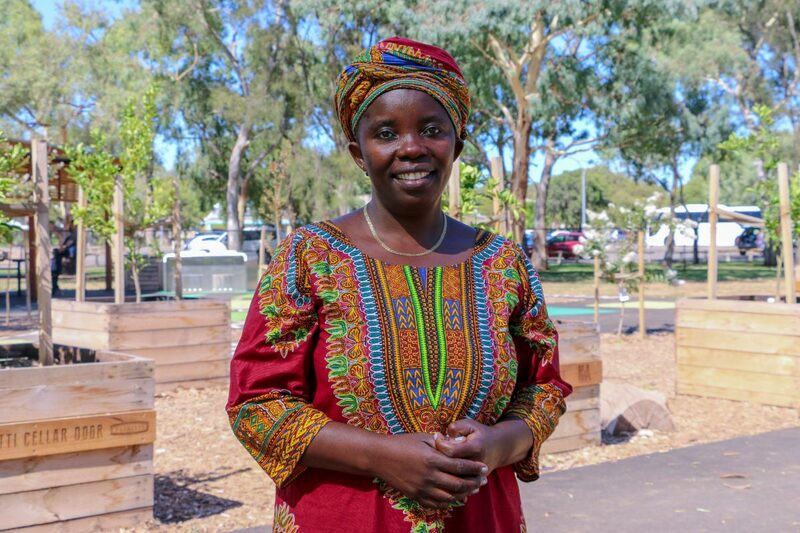 Family Connect program worker, Mwajemi Hussein, who herself arrived in Australia 14 years ago with no English, works with mothers facing the same struggles from her lived experience. The Sudanese Engagement Project has sparked interest from other Adelaide Anglican and Catholic colleges looking to ramp up their engagement with the increasing culturally and linguistically diverse community in Adelaide. 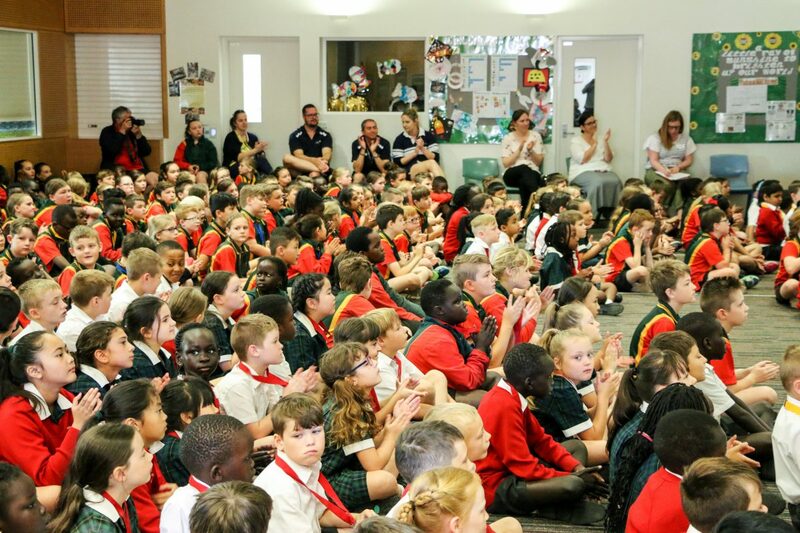 A network of Playford schools led by St Columba College have developed a diversity strategy to progress multiculturalism and inclusion. On the back of the successful project’s conclusion, David has taken on a new position as Sudanese Family Liaison Officer at the school, where he will continue to guide African students and their families. AnglicareSA receives a number of referrals from customers who have received an NDIS plan but do not understand what options and services are available for them. AnglicareSA’s NDIS Customer Advocate and Support Coordination team are the first point of contact for new customers wanting to access AnglicareSA services. Sometimes their support for customers is very short term (weeks) and other times they may support customers for much longer (years) depending on the type of support a customer needs. “My name is Scott, I am 15 ½ years old I am the only child. I live with my mum Jane, my father left us when I was 3 years old and has not had contact since. My mum is a full time carer and supports me with all of my needs, including socialisation, communication and self-care. I love listening to music; I have a good sense a humour and love playing jokes on my mum. “Scott received his first plan in February 2018. I contacted many organisations for them to help me understand what supports, services and options were available to Scott but for some reason I became unhappy and lost hope and felt that there were no options out there for my son. My son did not receive services from the previous specialist support coordinator and there were no funded services arranged. Three months later, my son and I were at risk of losing our tenancy. A friend referred me to AnglicareSA and helped connect me to the Support Coordination team. Continue to sustain Jane’s tenancy by simply organising a house clean and assisting her to understand the paperwork required to complete. Receive in home respite support for Scott. Submit a report to the NDIS which enabled them to complete the NDIS plan review without having the second appointment. Discuss the range of in home therapeutic services available to Scott. 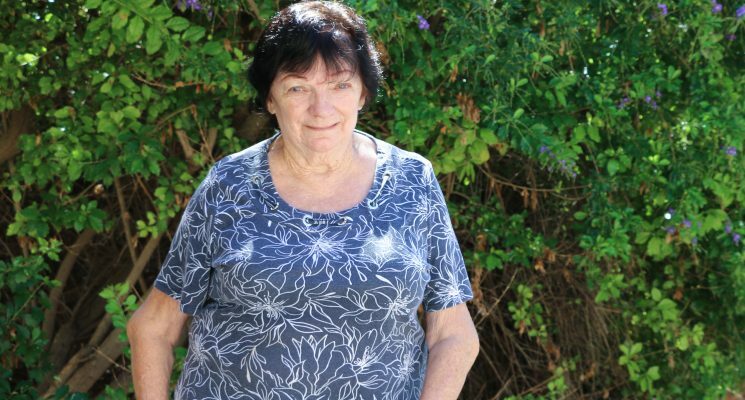 Help Jane understand more about the NDIS, which assisted her to commence the first steps in applying for an NDIS package for her own supports.